The California Secretary of State recently issued a memo listing the five most common reasons why statements of information (similar to annual report filings) are rejected. A limited liability company (LLC) or nonprofit corporation in California must file a statement of information biennially in the month of the anniversary of its formation or within the preceding five months. A profit corporation must file a statement of information annually in the month of the anniversary of its formation or within the preceding five months. Corporations may file statements of information electronically; however, amendatory statements, which provide new information and are not submitted as the regularly scheduled statement, must be filed in a paper format. Paper filings can be mailed to the Secretary of State or presented in person at the office in Sacramento. There is no electronic filing option for LLCs. Statement of Information already e-filed. 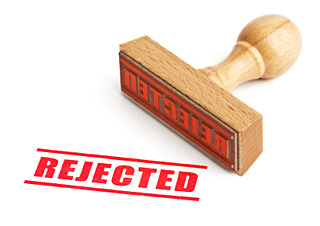 This rejection occurs in a case when a corporation files a statement of information electronically after a paper document was previously submitted to the state. Currently, the non-expedited turnaround time for statements of information filed via paper is quite long. Thus, when a subsequent electronically filed document is presented before the state has processed the paper filing, the earlier submitted paper document would be rejected since it is seen as a duplicate filing. Submitting a no-change statement when a current statement is already on file. This rejection would occur when a corporation files a statement with changes during the filing period which is the anniversary month, or the five months preceding that month, and then tries to file a no-change statement later in the filing period. Filing a no-change statement, but other information included on the statement. To avoid rejection for this reason, do not include non-required information on a no-change statement. Missing agent information. If an entity provides any new information on the statement, all required information must be included on the statement, including the name (and possibly address) of the agent for service of process. If an individual is the agent, then an address must be provided. If a corporation is the agent, then the address must not be included. Providing the CEO information and leaving the Secretary and CFO blank. Information must be provided in all three blanks on the form. The same person’s name may appear as all three officers. Using the above list will help you to avoid unnecessary rejections for California statements of information. Should you have any questions, feel free to contact your COGENCY GLOBAL INC. client service specialist.